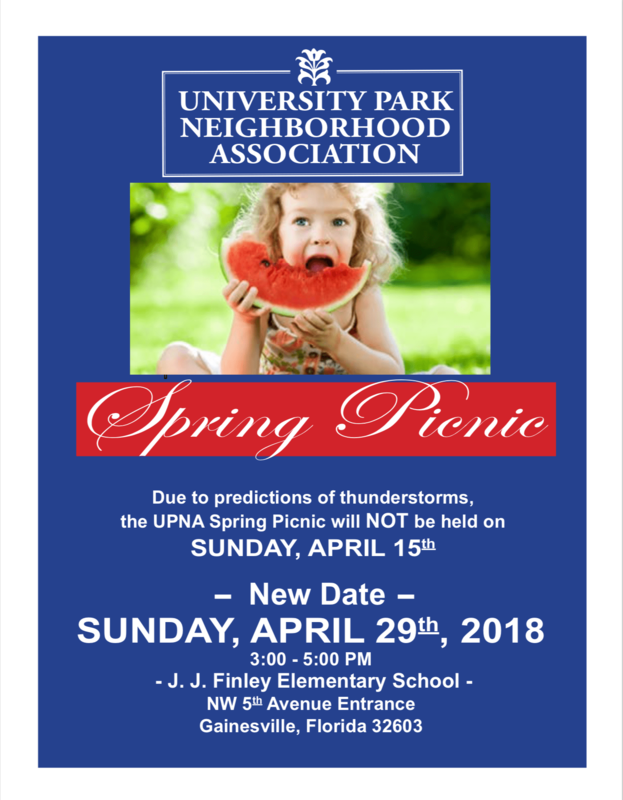 We hope you and your family can save April 29th on your calendar to join us for the University Park Neighborhood Association’s Spring Picnic. Gainesville’s most popular magician-juggler-balloon artist, Magic Mike, will perform. We will have a Water Balloon Toss, Bubble Mania, a Mad Basketball Challenge, and Soccer Fun. Hot dogs and a main dish will be served. Please bring your favor- ite side, salad, or dessert.